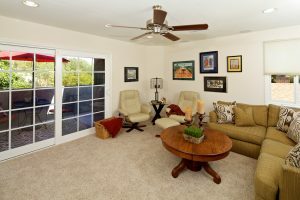 It’s a big area in your home that deserves a lot of attention. When you’re planning a kitchen remodel, choosing the best floor for your kitchen is vital. A lot of homeowners underestimate the value and importance of kitchen flooring. Here’s a look at why kitchen flooring matters. The kitchen is one of the busiest areas of your home. When you’re cooking and cleaning you’re moving back and forth across the room from the refrigerator to the sink, to the stovetop, oven, and pantry–it’s a highly-trafficked area. A durable, easy to clean and maintain floor will save you money in the long run. But it’s not just about the savings; it’s also about keeping you and your loved ones safe. A non-slip floor, even if it gets wet, will help reduce slips and falls. When you’re choosing your flooring, there’s a tendency to think that tile and stone are best. While those are indeed good choices for some homeowners, it may not be best for seniors. Hard surface flooring can fatigue your legs and feet quickly. If you drop dishes on those floors, they probably won’t survive. What’s the Right Kitchen Floor? There’s one rule to keep in mind when it comes to home remodeling and kitchen floors: form always follows function. The priority should be how durable and resilient the floor is so that your floors are safe and easy to maintain. Of course, you want your floor to look good too. Thankfully, advancements in technology have created beautiful floors that are also highly functional, and environmentally friendly. Luxury vinyl is a great flooring option for kitchens that are prone to messes. Not only is it durable, but it’s also resistant to scratches. More important, it’s waterproof, so it’s easy to clean, and stains and puddles won’t get absorbed into the material and present a danger later. Laminate is another great material as it can withstand constant foot traffic. Like luxury vinyl, it’s also waterproof as well as scratch and stain resistant. Laminate is affordable and comes in a wide variety of different styles and colors. Tile is still prevalent in kitchens, but as we discussed, it can be a bit more hazardous. Using a kitchen floor mat can lessen leg fatigue. And if you clean up spills quickly, it can help keep the kitchen area safe for all ages. One of the best advantages of tile is that it lasts a long time and is fairly easy to maintain. With proper care and cleaning, a tile kitchen floor can last as long as the house. 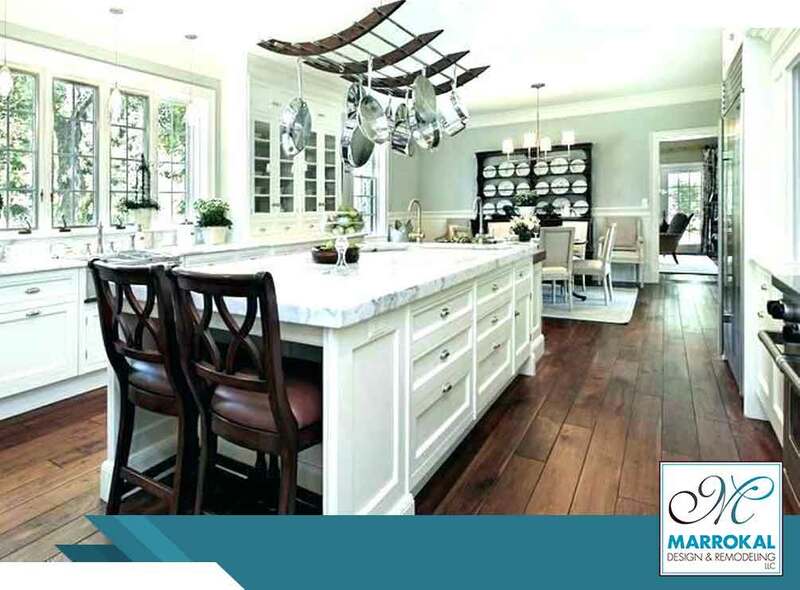 Marrokal Design and Remodeling will help you pick the right flooring for your kitchen. We offer complete home remodeling services. Call us today at (888) 214-1544 to learn more. We are kitchen remodel experts in San Diego, CA and we’re here to create your dream remodel. Schedule a consultation with us today.